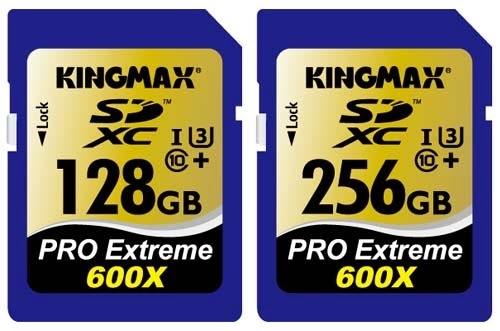 As consumers demands more capacity and speed in terms of recording/capturing of high-resolution images and videos, KINGMAX answer the needs of the consumers by creating the KINGMAX PRO Extreme SDXC/SDHC memory card. The upgraded version is faster than the most advanced UHS-I Speed Class 3 specification, allowing photography enthusiasts to no longer have to worry about writing speed and instead just focus on adjusting the camera’s iris and mode settings etc. ; KINGMAX PRO Extreme SDXC/SDHC will quickly write down every precious image for you. The time it takes to copy the files onto other devices is reduced and you no longer have to wait patiently next to the device. In order to record with high quality at any time and during important moments, a good memory card has become an important accessory for photographers! Everyone now can use the PRO Extreme SDXC/SDHC to access ultra-high quality Full HD (1080p), Ultra HD (2160p), 3D or 4K2K videos on D-SLR, D-SLM, digital camcorders and other high performance models. The PRO Extreme SDXC/SDHC memory card is compatible with SDHC and SDXC devices, and currently comes in 32GB and 64GB capacities for consumers to choose from. More excitingly, the 128GB and 256GB are also about to be released, so to use one memory card to record all scenarios of a micro-film is no longer a dream! - Supports CPRM, ECC, wear leveling technologies and etc. *Disclosure: An important note, we are just sharing this information to the public, provided by our source (Image Media Phils). 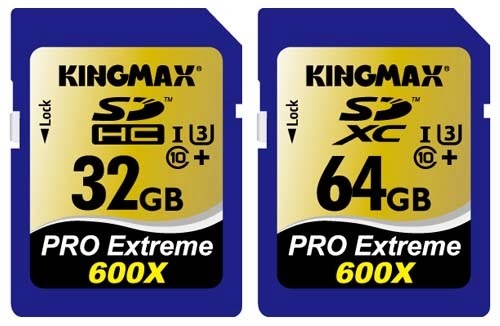 KINGMAX PRO Extreme SDXC/SDHC Info / Logos / Photos / Images have respective copyrights. sweet! when it will be release in ph market? nice capacity is getting bigger, that would be a perfect storage.